Here is the full list of 1MDB’s RM95 billion debt, based on the last filed audited accounts for the year ended 31 March 2014, and updated for the debt awarded to IPIC Plc, Abu Dhabi by the LCIA, UK in April 2017. 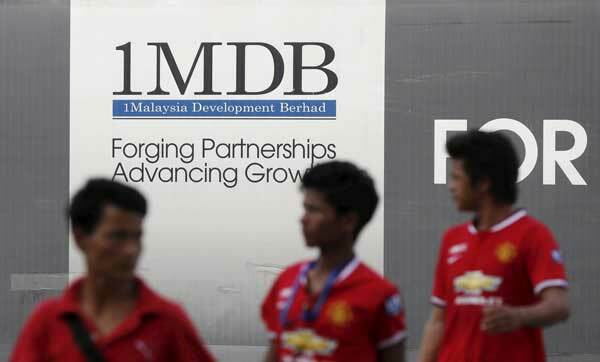 Since 2014, 1MDB has sold its IPP business for RM16 billion (including bank loans of about RM6 billion) and, as of yesterday, disposed its land banks in Penang and Selangor, all to China companies. As 1MDB’s accounts for 2013 & 2014 were withdrawn by Detoilette as “cannot be relied upon” and the accounts for 2015-2017 have not been prepared, audited or filed, we do not have an accurate picture of the current debt position. Let MoF Chief Sec Serigar Abdullah who is also 1MDB’s Chairman, and CEO Arul Kanda, update the Rakyat. Also note that, originally, the RM4 billion debt now parked under MoF’s 100% subsidiary SRC, was raised by 1MDB. SRC has not published its accounts for some 4 years! It was from this RM4 billion that SRC’s CEO, who has been allowed to flee to Indonesia by Najib, illegally transferred RM42 million to Najib’s personal AMMB a/c, which he says he did not know about, but nevertheless, issued cheques to pay for Rosmah’s $3.4 million Italy jewellery purchases, over RM4 million for cars for family members etc. As to the RM4 billion, MoF/SRC has only disclosed some RM400 million invested in a Mongolian coal mining venture and an undisclosed sum in Indonesia. What happened to the balance of RM3.6 billion? Songlapped by Najib for sure!